Two more counties in South Carolina have implemented Smart911, the national public safety service that helps to provide faster and more accurate emergency response. Abbeville and Edgefield Counties are now encouraging their citizens to sign up for Smart911, the free service that allows citizens to create a Safety Profile online that includes any information about themselves or their household that they want 9-1-1 to have in an emergency. When that citizens makes a 9-1-1 call, their profile is immediately displayed to the 9-1-1 call-taker, resulting in far greater emergency response and saved lives. “By bringing Smart911 service to more counties in the state, we are giving local residents and visitors the ability to provide potentially life-saving information to first responders before an emergency, which is especially important in situations when the caller is panicked or unable to speak.” said Sharmel Miller, director of Abbeville 9-1-1. First implemented in Aiken County in 2011 and Cherokee County earlier this year, Smart911 provides a way for responders to be aware of many details they would not have known previously, and now fire crews can arrive at a house fire knowing how many people live in the home and the location of bedrooms, EMS can be advised of allergies or specific medical conditions and police can have the photo of a missing child in seconds rather than minutes or hours. 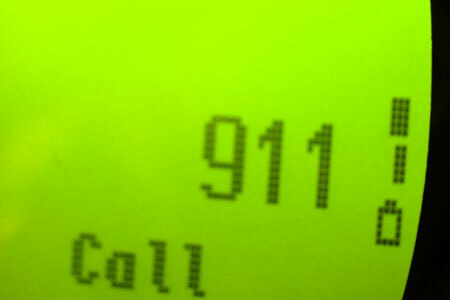 Nationally about 70 percent of calls to 9-1-1 are made from mobile phones, which provide limited location information. Including an exact address in a Smart911 Safety Profile can save time during a response, especially if that address is located in a multi-unit building or development. Smart911 is a free service for citizens and is completely secure. Information is only made available to 9-1-1 operators when the citizen dials 9-1-1 from a number associated with their Safety Profile. Smart911 is currently available in 35 states and more than 500 municipalities across the country, and has been credited with positively impacting emergency outcomes including a missing child in which the girls photo and physical description were immediately available to 9-1-1 and responders, as well as a heart attack victim where an address and medical notes allowed responders to be dispatched to his location quickly. Citizens are encouraged to create their Safety Profile with Smart911 today to have their information immediately available to 9-1-1. Smart911 data is private and secure, is only used for emergency responses, and only made available to the 9-1-1 system in the event of an emergency call.